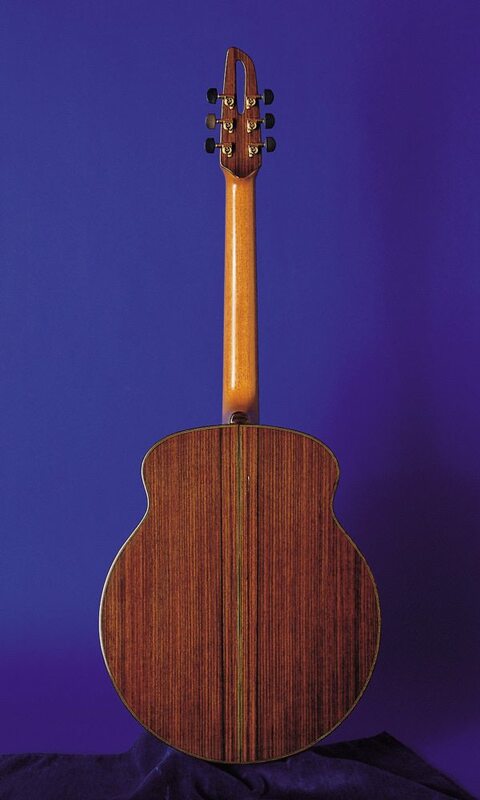 The proportions and geometry of this traditionally x-braced guitar are the result of having applied physical acoustic principles to the design in order to obtain the greatest harmonic resonance. 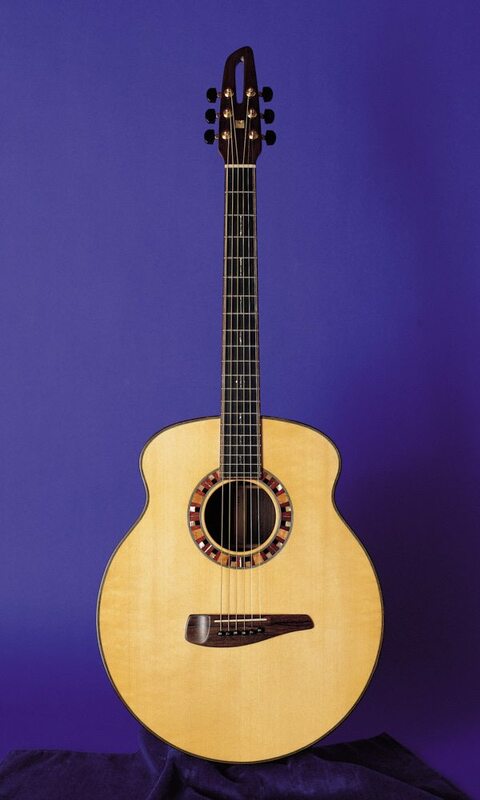 This design also adds clarity and definition to the characteristically powerful sound of the flattop guitar. The selection of tonewoods for the back and sides provides further options in customizing the sound to the guitarists needs.